RAW files require more special treatment compared to JPEG. While JPEG files can be previewed using regular photo viewer apps, in most cases, you need to convert your RAW files into JPEG first to preview them. If working with RAW files is not the part of your job, spending money on tools like Lightroom might can be an extravagance. If you just need to occasionally convert RAW files to JPEG, there are several free tools you can make use of. In one of my previous posts, I have covered free RAW editors you can use to replace paid tools like Lightroom. In this post, I will demonstrate how to convert RAW files to JPEG using two of them. I use Windows 10 in this article, but the steps below should also work on other platforms. By the way, the tools I am covering are Darktable and RawTherapee. The two are available for Windows, Linux and Mac and arguably the best free RAW editors. 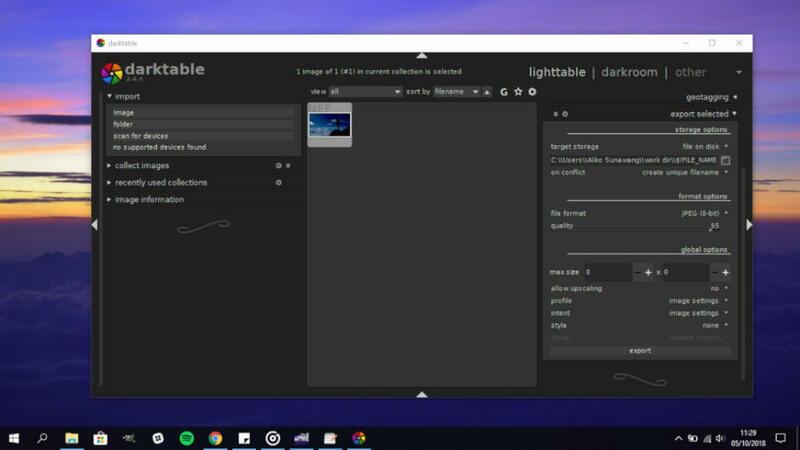 Before getting started, make sure you have installed Darktable on your computer. You can download the binary file of Darktable on its official site. Once installed, launch Darktable immediately. Make sure you are on the lighttable mode. 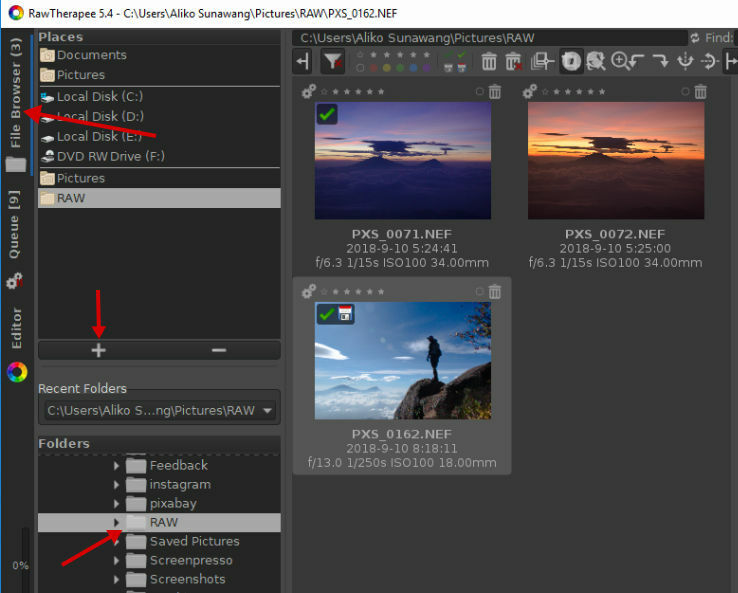 Import RAW files you want to convert by clicking import -> image on the left panel. You can import a single RAW file or multiple files at once by pressing the Ctrl button while selecting the RAW files you want to export. Or, you can simply import a folder where you save the RAW files you want convert by clicking the folder option instead of image. After you have selected the RAW files and pressed Open, Darktable will automatically turn to darkroom mode. darkroom is the mode where you can make adjustments to a photo or edit it. You can read this article for more details. To start exporting, return to the lighttable mode and select the RAW files you want to convert to JPEG. 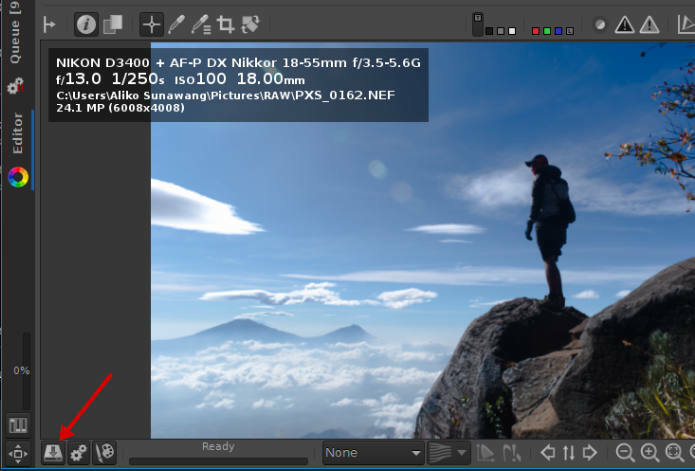 Darktable allows you to convert multiple RAW files at once. Press and hold the Ctrl button while selecting the RAW files you want to convert if you want to convert multiple RAW files at once. 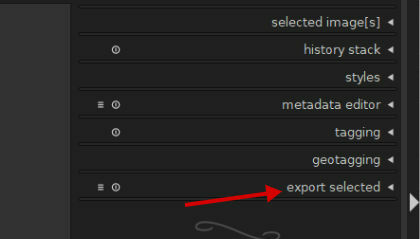 Then, click the export selected menu on the right panel. Specify a folder where you want save the converted RAW files. Since you want to convert your RAW files into JPEG, leave it default on the file format section. Simply click the export button to start exporting. Unlike Darktable, RawTherapee doesn’t support bulk export. 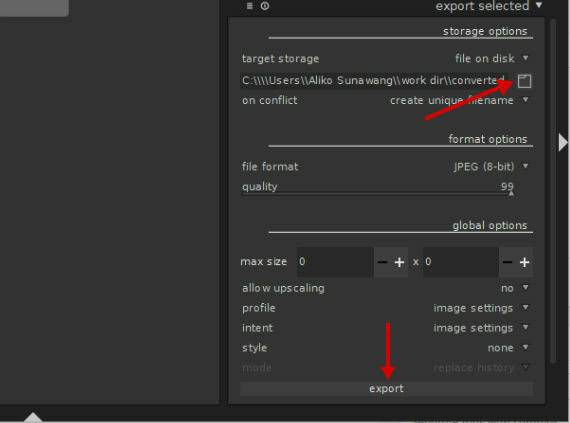 Meaning that you can only export select a single RAW file per export. You can download the binary file of RawTherapee on its official site. Assuming that you have installed RawTherapee on your computer, launch it immediately. Before being able to export/edit a RAW file in RawTherapee, you need to import the folder where the RAW file you want to export/edit is located. Click the File Browser menu on the left panel and browse the folder where you save the RAW file you want to convert. Once got it, select it and click the “+” button. Still on File Browser, select the folder you have just imported on the upper column and you should see the contained contents on the middle panel. Double-click a RAW file you want to export on the middle panel to bring it to the editor. Once loaded, click the download icon on the bottom-left corner. A dialog window will appear, asking you to select an image format. There are three image formats you can select with JPEG is selected by default. 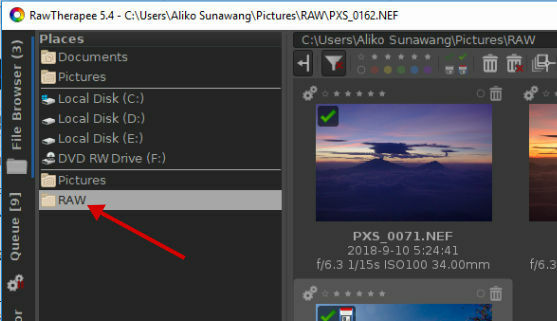 Since you want to convert your RAW file to JPEG, just leave default and click the OK button. You can read this article to learn more about how to use RawTherapee. Both Darktable and RawTherapee use non-destructive mechanism. Whatever you did with the RAW files you have imported, it won’t affect the original file. All of the changes you made will be saved in sidecar files (.pp3 in RawTherapee and .xmp in Darktable). Next articleWhat is User Agent in Web Browser?